This item will take 20-35 weeks to receive while it's being made to your specifications (regardless of which shipping method you choose). 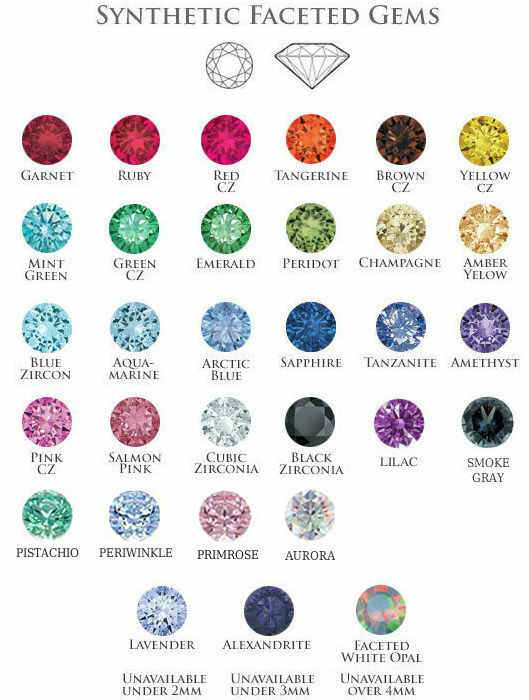 We will ship your order in full once we receive your custom piece. Filter by gauge Show all gauges 7/16" 1/2" 9/16" 5/8" 3/4" 7/8" 1" 1-1/4" 1-1/2" 1-5/8" 1-3/4" 2"
Sizes offered: 7/16", 1/2", 9/16", 5/8", 3/4", 7/8", 1", 1-1/4", 1-1/2", 1-5/8", 1-3/4", 2"
These gemmed teardrop eyelets are machined from a solid piece of material and hand-polished to a mirror finish. 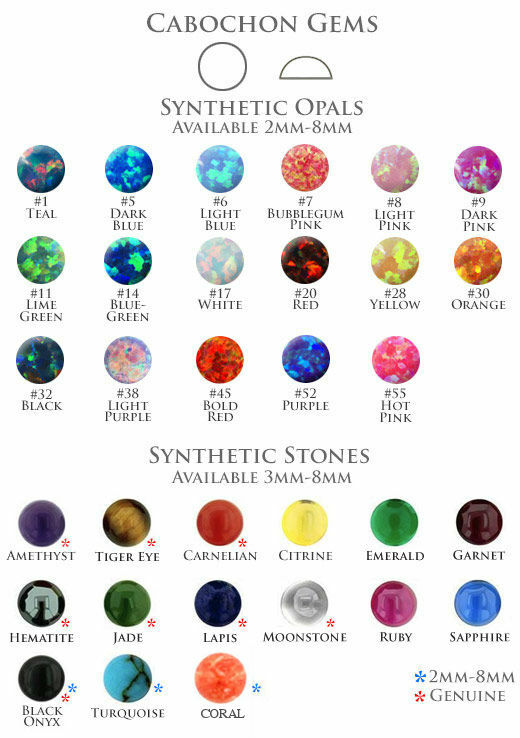 Pick from several gem or opal colors available. Only available in double flare. 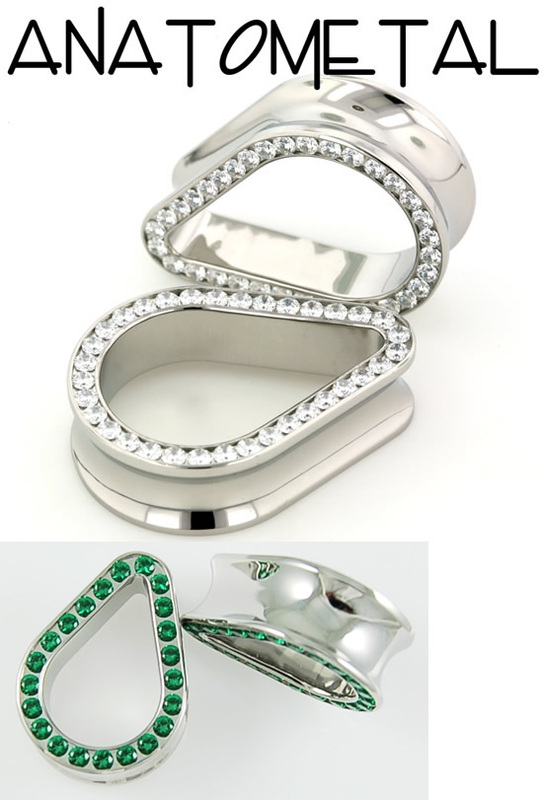 Requests for double flared eyelets with custom wearable lengths and flare sizes should be submitted to customer service, as some additional cost is incurred.